According to a Reuters article, the EU antitrust regulators are likely to approve the Dow Chemical – DuPont and ChemChina’s – Syngenta mergers this Monday (March 27th) or Tuesday (March 28th). Friends of the Earth Europe has therefore decided to deliver the open letter to the Commissioners today. The text is pretty straightforward and explains why signers are worried about the possible mergers in six points. FoEE has also prepared a compact and comprehensive document to understand all stakes of agri-business mega-mergers. 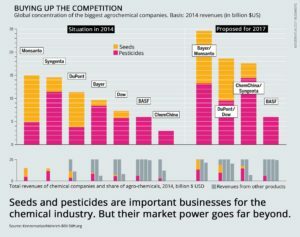 Even though mergers would not change much for those who are committed to working towards a climate-neutral and ecological food system, having fewer and bigger companies producing seeds and pesticide would mean a stronger market dominance and more lobby power. Big seed and chemical companies are definitely in the spotlight these days. Recently, a federal judge in California has ordered to unseal a series of Monsanto internal documents, including explosive emails revealing scientific manipulation regarding glyphosate, one of the active ingredients of the weedkiller Roundup. Judge V. Chhabria is overseeing more than 55 lawsuits brought by individuals accusing Roundup to be responsible for heavy health issues such as non-Hodgkin lymphoma. The lawyer of these victims, Timothy Litzenburg, was also testifying before the Monsanto Tribunal in The Hague in October 2016. The Monsanto Tribunal is an international civil society initiative to hold Monsanto accountable for human rights violations, for crimes against humanity, and for ecocide. The panel of international and independent judges will share the conclusions of their work and deliver an advisory opinion on April 18th, one day after the international day of farmers struggles. Last but not least, a recently launched European Citizens’ Initiative called “Stop Glyphosate!” calling on the European Commission to propose to member states a ban on glyphosate, to reform the pesticide approval procedure, and to set EU-wide mandatory reduction targets for pesticide use has gathered more than 500 000 signatures in five weeks. All European citizens can sign this initiative. 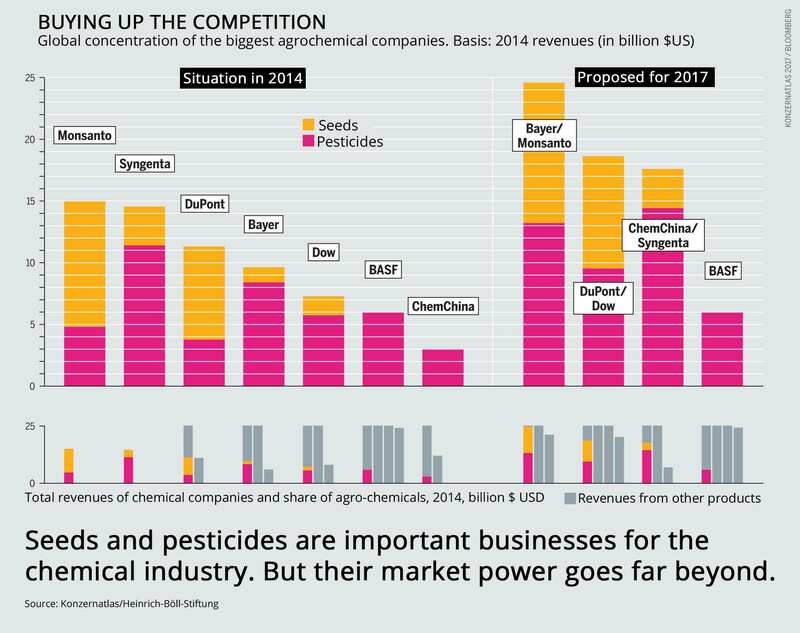 The prospect of finding hazardous chemicals on their plates is certainly fueling consumers’ motivation to influence European politics. All of these connected initiatives and events show that awareness and resistance to the agri-business control of our food and farming is rising. The time of oblivious business as usual for big corporations is over. More than ever, they are facing systematic resistance from concerned citizens. 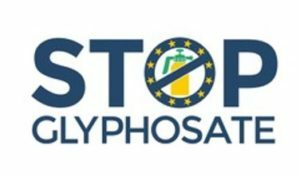 Sign and share the European Citizens’ Initiative Stop Glyphosate!